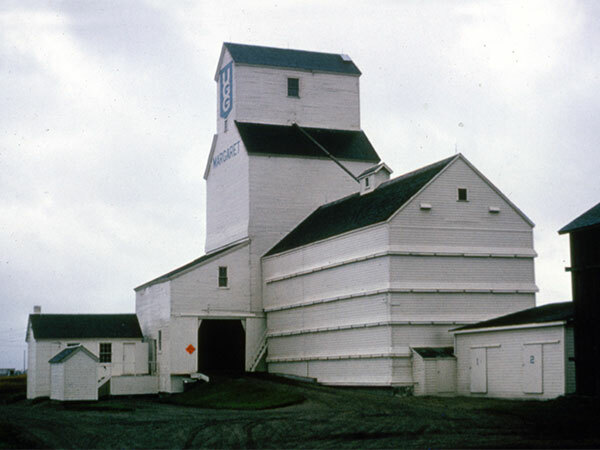 A wooden grain elevator at Margaret, on the CNR Hartney Subdivision in what is now the Rural Municipality of Prairie Lakes, was built by United Grain Growers in 1926. 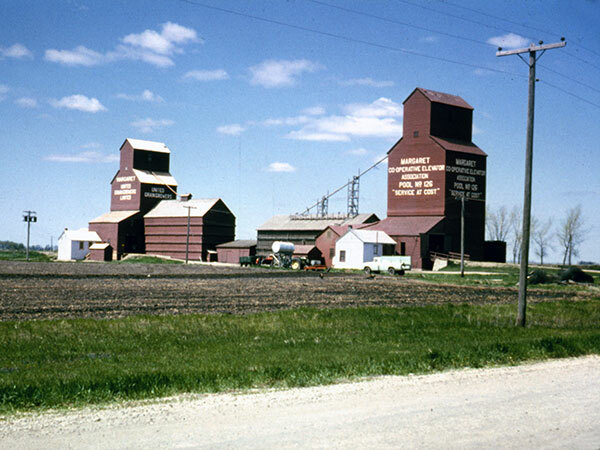 Expanded with annexes in 1940 and 1956, it was traded to Manitoba Pool in 1971. 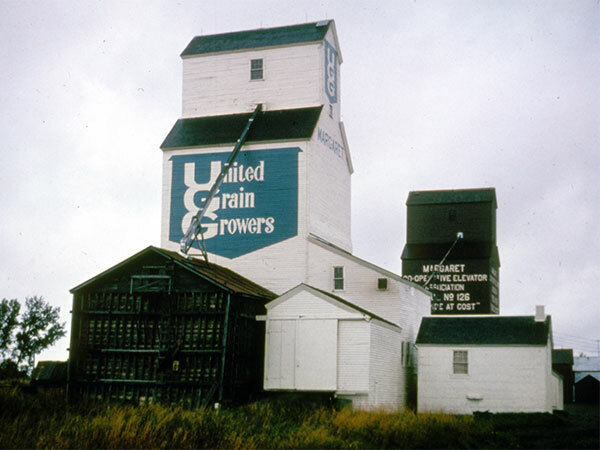 Closed around 1977, it was later demolished.